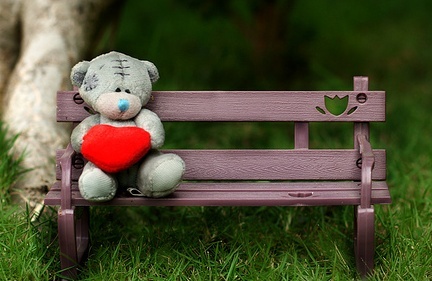 Miss आप Teddy भालू. . Wallpaper and background images in the प्यार club tagged: love romantic cute miss you teddy bear heart. This प्यार photo contains पार्क बेंच.